We have been using that Dotpeenator CO9 Dot Peen Marking Machine for 3 years now. We are very much content with the quality of the product and the service of the company. Thanks. We, Sem Transformator A.S. are quite happy using Dotpeenator CO9 Dot Peen Marking Machine that brought inovation and convenience to our sector. We may say that we have increased our quality by one more notch. 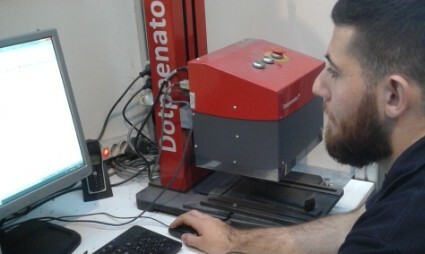 We purchased two units of desktop Dotpeenator CO9 Dot Peen Marking Machines from Sermatek that builds up low-cost, high quality marking machines and has well-equiped staff after a log term search. We have been using one for 2 years and the other for 4 years. We are very pleased with the service and the products of Sermatek. We've been using your dot peen marking machine for 2 years now. It's been very much helpfull. We have been using it since April, 2013. 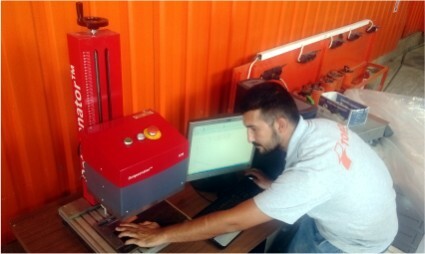 We are content with the quality of Dotpeenator CO9 Dot Peen Marking Machine, services and the attendance of Sermatek. We bought second dot peen marking machine this year. We wish you success. Toros Ins. Iml.Taah.Tic. San. Tic. Ltd. Sti. 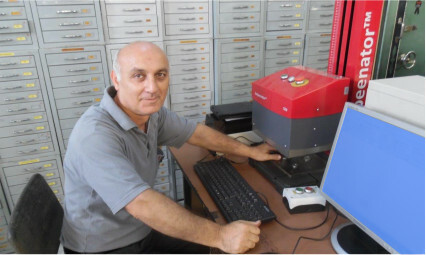 We are highly happy with your dot peen marking machine. We wish it to be long lasting. We are way too much happy with Dotpeenator CO9 we chose among its alternatives. Especially it is user friendly when name plates are placed under the marking head in any direction. 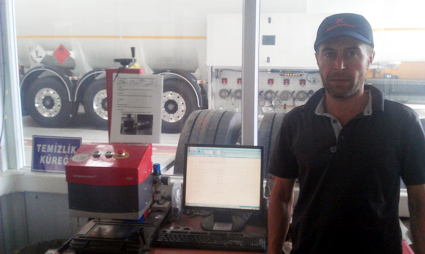 In terms of its sales, Mr Fikret from Sermatek paid very close attention to us. 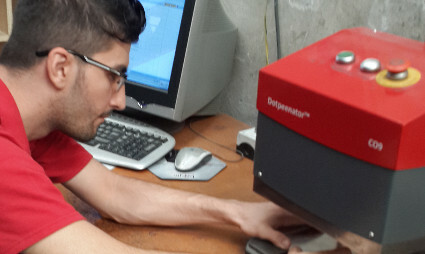 We have been using our Dotpeenator CO9 Dot Peen Marking Machine since 2012 without any problem. Alfa Laval Mak. San. Tic. Ltd. Sti. Based on our standards, there are required to be indelible, permanent and legible marking results of the material specifications on our security products. For 2.5 years now, we have been very content with the product of yours, which we found as a result of a long search in the market. We have not gone through any problem with it.